Education system in India is highly competitive. Government of India is providing free and compulsory education to all children of age 6-14. In spite of this there is lack of quality education system of India. Parents in India wants best from their ward and that creates immense pressure. For this, they admitted their ward in best possible private school that provide them quality education with all grooming education structures but this is not accessed by everyone. Almost all schools in India focus on subjects’ education without focusing on overall development of child in all fields of study, art, sports, society etc. This lack of creative educational development gives attention on only subject examination. NCERT (The National Council of Educational Research and Training) is an autonomous organization established by Government of India to support and guide to central and state government in all academic matters related to school education. CBSE is the board of education for schools (public & private) under central government. It gives affiliations to schools. It was constituted in 1962 under purview of Govt. of India. At present it has 18546 schools in India and 210 schools in 25 foreign countries. There are 1117 KV’s, 2685 Government/Aided schools, 589 Jawahar Navodaya Vidyalaya’s and 14 Central Tibetan schools. It affiliates institutions for the purpose of examination and academic standards of the country. It also conducts various entrance examinations like AIEEE and AIPMT for engineering and medical institutions. All universities and colleges in India recognized CBSE education board for admission. CISCE is a private education board in India that conducts ICSE and ISC examinations for X and XII classes across India. It was established in 1958 with aim to provide best quality education at secondary and senior secondary level. There are about 1900 schools affiliated to CISCE in India with reaching out to all regions of country. ICSE and ISC examination are conducted in accordance with the New Education Policy, 1986.The council committed to provide high quality education empowering society. In 1973, Under Delhi School Education Act 1973, the council was listed as a body for conducting “public” examinations. State education boards in India govern under regulations of State Act for school level education. It provides all affiliations for schools and implements education policy. It conducts board examination with specially designed curriculum and syllabus that will helpful for students in higher education in State and Central educational institution. There is high percentage of schools affiliated to state education boards. The first state board is UP board of High School & Intermediate Education (1922). Today, almost all states in India has their education board. Cambridge International Examinations provides international qualifications offering examinations and qualifications all over the world. They are conducting board examination under Cambridge Assessment. It was established in 1858 as one of the department of the University of Cambridge. At present, there are over 310 Cambridge schools in India. CIE makes 44,000 examination entries for Cambridge IGCSE and Cambridge International AS and A Level, from all over the nation. A wide spectrum of extra-curricular activities and events complements learning programme. These activities imbibe the qualities like team spirit, tolerance, flexibility and appreciating others on their achievements, which in turn enriches and builds character. Like, Public Speaking & Dramatics, Art Studio, Music and Dance, Yoga, Sports, Tours & Excursions This varies from school to school. Some give more importance to these programmes and there are some focuses on academics. State boards mostly plan for government events, SUPW Camp, tours, rally. The Extra Curricular and sports facilities available are varied and numerous, so there should be something to suit everyone. Nearly all of the activities include sports, drama, art and music are open to both sexes and many run all the year round. In addition excursions and trekking expeditions are organized. Child’s Mental Development CBSE emphasis on Life skills development include psychosocial competencies and interpersonal skills that help people make informed decisions, solve problems, think critically and creatively, communicate effectively, build healthy relationships, empathize with others, and cope with managing their lives in a healthy and productive manner There are no such developmental practices adopted only provisions of basic computer education. More or less, these development processes simultaneously with school events only. IBO provides on-going professional development training, so that students are well informed. Workshops, online learning, teacher coaching and conferences provide potential avenues to address developmental needs. Selection of Teachers With the aim to recruit quality teachers, CBSE introduced the Central Teacher Eligibility Test (CTET) State Governments introduced the Teacher Eligibility Tests (TET) as per MHRD Guidelines after minimum eligibility requirement. With perspective to private sector, the quality of teachers in India has gone down considerably and only Elite schools that charge heavy fees may have a chance of having better teachers State Governments also introduced the Teacher Eligibility Tests (TET) as per MHRD guidelines after minimum eligibility requirement. In State board also private schools are having less chance of good teachers. Since most International Board schools charge a hefty fee, you can expect the teachers to be well qualified and trained for their job. Digital Classroom Central Board of Secondary Education has issued guidelines to set up virtual classrooms from primary to secondary level compulsorily. In state only few elite schools had the privilege of setting up of digital classrooms but government soon implement it compulsory. Schools are packaged with a robust classroom infrastructure includes a giant Interactive White Board and a projector or an All-in-one HD Touch-screen LCD, a super-fast desktop or a laptop, one assessment device per child, Hi-Fi speakers and a personalized learning device – Classpad (optional). Students Performance in various Competition CBSE curriculum ensures students best preparation for competitive examinations. CBSE’s new assessment pattern is more in tune with modern demands. It is a broad based assessment State boards have become contemporary. For future perspective mostly parents choose national board over state board. Jcgk IBO uses student performance on its examinations to monitor and improve the overall quality of IB programs in different countries and schools. But students enrich with best skills that help in any competitive examination. School Fees CISCE and CBSE’s affi liation by-laws state that fees charged by schools affi liated to these Boards should be commensurate with the facilities provided by the schools. As per Assocham Schools under state boards have to follow regulations of their respective state governments. 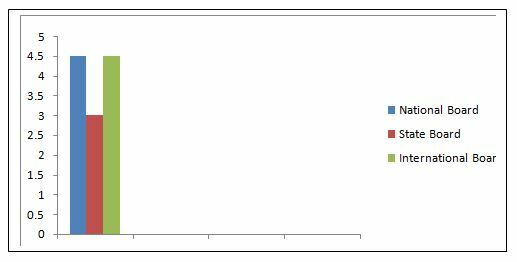 Average School Fee: According to laws of state government. Lower in comparison to other boards The International Baccalaureate (IB) is a not-for-profit organization, which covers its main operational costs by charging fees to schools – in order to provide services supporting those schools and to implement our education programmes. Graphical Comparison of National, State and International Board on various parameters. School follows norms & standards as per regulation. Curriculum & Syllabus based on modern age education. Availability of Tuition teachers for syllabus. Summary for suggesting selection of best school education board. Indian educational institutions are not among the front ranking institutions in the world, though Indians students have done brilliantly outside India and have top positions in many organizations. Every school promises an education system, which provides an all-round holistic education. With number of education boards in the country has increased in the past decade, it is very difficult to choose school education board where kids get the best education possible. Firstly, if parents’ considering the curriculum and syllabus or having transferable job within India then National board syllabus is comparatively more rational and scientific in its approach. With focus on application based approach students compete in all competitive examination. Books and tutors are easy to find. With CCE (Continuous and Comprehensive Evaluation), students can involve themselves in extra curricular activities. Students participated in various talent search examination and scholarships based on this syllabus. Secondly, if parents’ residing in remote region or villages and small towns considering school fees and wants lower fee school, then state board schools are providing comparative syllabus with minimum fees. But in state board, you should keep in mind that there are not many extra curricular activities. That does not mean state board students are lacking in any ground. But we have to grooming them differently. Thirdly, if parents’ are expats or belonging to NRI communities or having transferable job overseas or wants child to compete internationally then choose International Board for more practical and application-based. It provides students an opportunity to select courses according to their interest in the subjects of science, humanities, languages, mathematics. The courses also provide them an opportunity to mix these subjects with components of fine arts, visual arts, theatre, technical drawing, music, film making, community service, etc. Emphasis is laid on developing critical thinking, analytical skills, communication skills, investigative abilities, problem solving techniques, team work, independent research and other qualities valued by all international universities. No matter which board you choose, you’ll need a Home Tutor for your kids. Choose from 300+ courses from Qriyo. Download our Home Tuition App now. Why is parallel education system like Qriyo needed? Anirudh Sharma is into Digital Marketing and writes blogs just for fun. He loves watching Bollywood movies and is a die-hard fan of Salman Khan. According to him, he is a writer by day and a reader by night. Really grate discussion and informative. The CBSE school always be the best choice for your child as it is beneficial as future point of view. The CBSE board schools in Nagpur will be the best choice for your child. There is always the confusion between CBSE board and international boards. People don’t understand which one to choose. Thanks for sharing this article which tells difference between both boards. Here is the CBSE schools in Nagpur which will provide you the best guidance. GD Goenka Global School has a very informative blog about International Board. You can check it out for more detailed information about the same, especially IB-PYP Program. 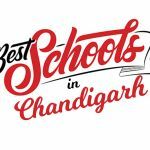 It is among the top IB schools in gurgaon. 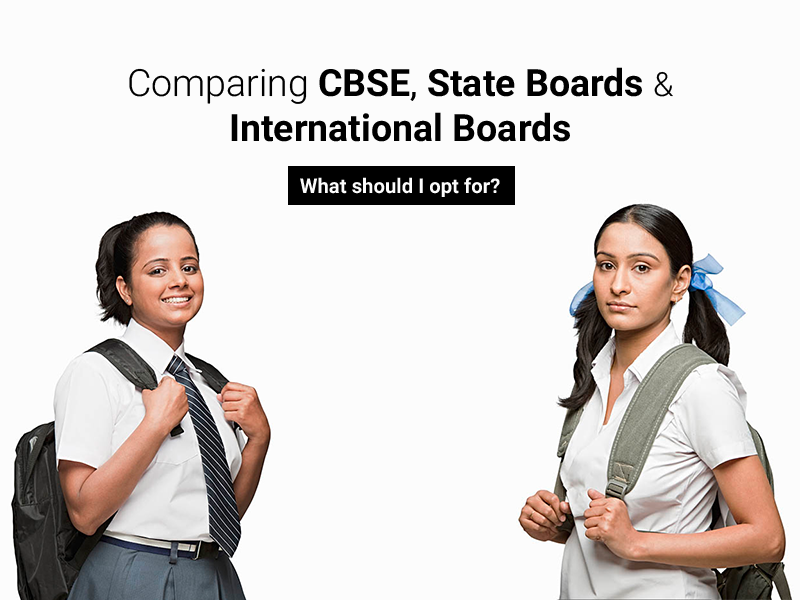 This blog compares between all CBSE, State board and an international board. There is a lot of confusion about international and CBSE board. 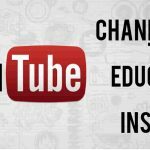 This blog provides information about what is a difference between these courses. Here get more information with CBSE schools in Surat. Thanks for sharing this great information, SERI is the exclusive accredited Education Service Agency (ESA) of AdvancED offering NWAC/AdvancED American High School Diploma. Thanks for sharing this great information. I also write a Article on International CBSE Schools Just go through It. It is great to read such informative blogs.Thanks for sharing this stuff with us!